It was posted way back in February, but Robert Downey Jr’s one word assessment of an article about him is still bloody brilliant. What had the paparazzi caught the Hollywood bad boy doing? Had he slipped back into the throws of addiction? Nope, he’d put a receipt in his mouth. Well it was accurate at least. 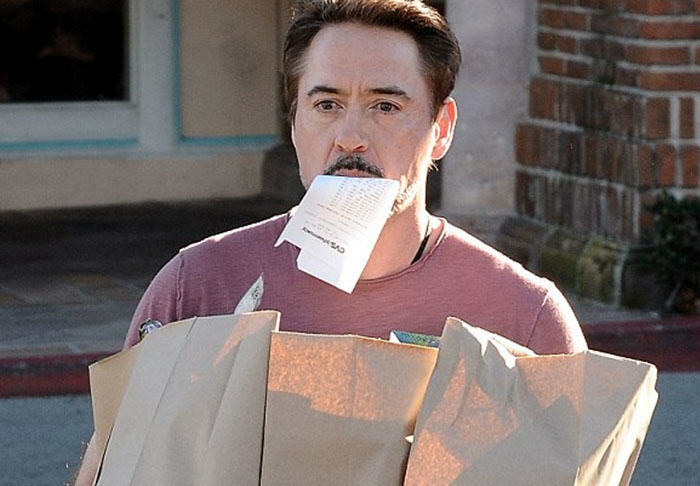 The Iron Man star took to Facebook to highlight the exhilarating read. Kudos Robert, ‘Riveting’ pretty much nailed this one. But can he top these grocery carrying antics in 2016?